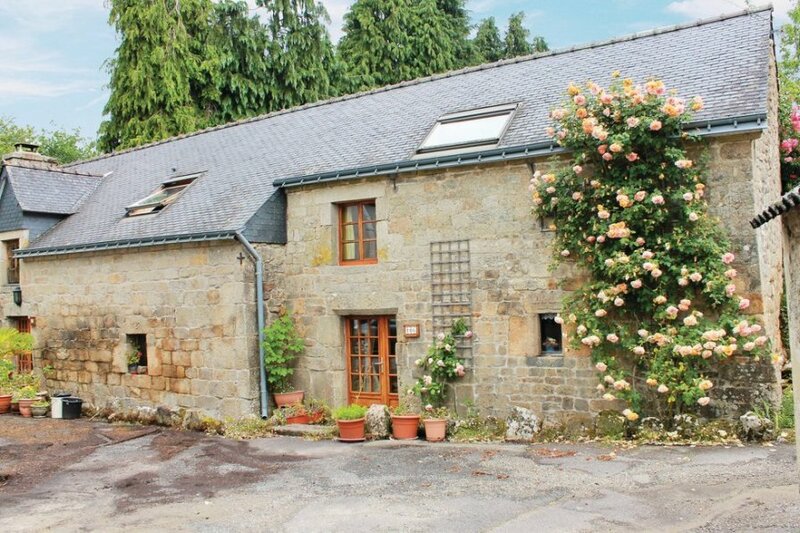 This charming holiday home is nestled on a large garden plot in a beautiful area of Brittany. It features a homely décor, complete with wooden beams and stone walls. This charming holiday home is nestled on a large garden plot in a beautiful area of Brittany. It features a homely décor, complete with wooden beams and stone walls. You will benefit from a bright and spacious living room, a cosy kitchenette, a comfortable bedroom and a bathroom. The home also includes shared access to the peaceful garden (shared with the homeowners).The holiday home is just 15 km from the charming village of Poul Fétan whilst Brittany's picturesque coastal towns and magnificent beaches are approximately 56 km away. You may also wish to enjoy a stroll through the farmers market and sample some of the regional specialities including crepes, galettes and seafood. Please note, the adjacent home is occupied by the homeowners. This villa is made from brick or stone and was originally built in 1637 and refurbished in 2005. The agent has rated it as a three star property so it is a well-kept villa, equipped with standard furniture. It is also good value for money. The villaIt is located in Melrand, only 16km from Pontivy. It is set in a good location: there is a restaurant only 150 metres away. The villa has free wireless internet. You can also park on-site at no extra charge. 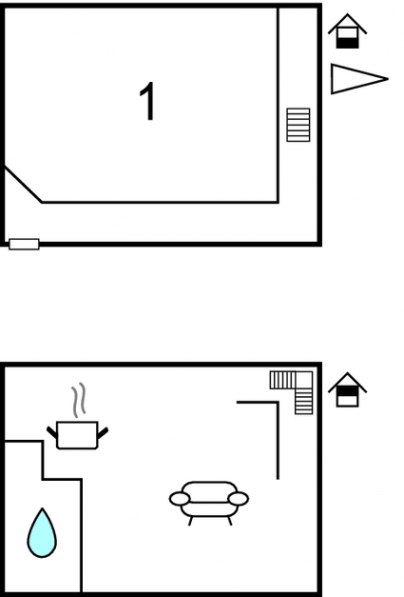 The villa is adequately equipped: it has a refrigerator and microwave. It also has a barbecue, a garden and some garden furniture outside.